Mark has practiced massage and bodywork since 1990. His foundation stems from an energetic perspective of the body: that every manifestation of the physical has an emotional or spiritual root. He feels that health of the body/mind/spirit system stems from proper diet, attitude, and excercise of the person, and that therapeutic bodywork comes after appropriate attention to the complexities of living in wholeness. The person is seen as a multidimensional soul living a three dimensional existence, complete with all its anomalies! 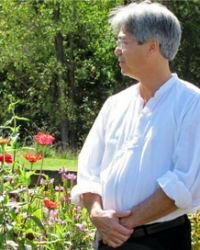 But the many years of pioneering souls who have studied the human energy complex have added immeasurably to the literature and techniques to abate pain and establish balance and harmony. Finding and maintaining this balance is the aim of Massage for Wholeness.